I've long admired the Forgotten Realms setting. Recently, I was told about the Pathfinder setting. 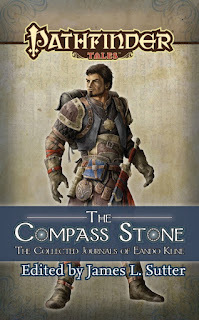 Based on the recommended reading order, I was told to start reading the Compass Stone. I like Sutter as an author and editor and decided to pick this up. The world of Golarion is amazing. 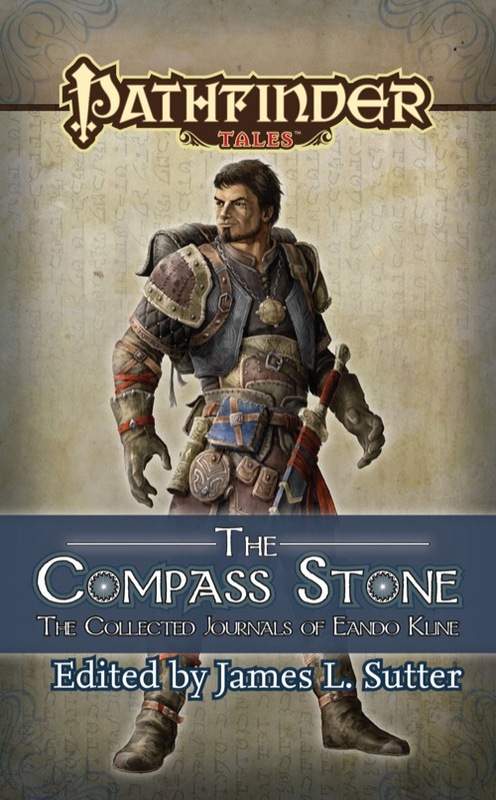 This book follows the exploits of Pathfinder Eando Kline of the Pathfinder Society. I am halfway through the book and love it so far. Eando is good company while I read this book and his humorous and adventuring personality are keeping me interested so far. I started watching a new Tennis Anime called Baby Steps. First Impressions are pretty good. There is a lot of good character development going on. The amount of analysis and research that went into producing this stands out. I learnt a lot of terms I didn't even know about tennis. The story is fairly solid. The support cast is good and there is enough excitement in the tennis matches depicted to make this a worthwhile watch. I am currently on episode 14 and like it thus far. There is some budding romance albeit manifesting very slowly, which can be expected since most of this is centered around the lead's progress as a tennis player. Valve decided to remove the paywall for Skyrim mods once and for all. Thanks to all you guys who signed the petition. Wouldn't have been possible without you all. You can read Valve's full statement here and Bethesda's statement here. Yesterday, Valve rolled an update to steam that allows mod creators to charge for their mods and allows them to earn money for it. For now, only Skyrim has been allowed for this but they are going to roll it out to multiple games over the next few months. Here is why I think this is a very bad move. Most mods in Skyrim are made off of the SKE, Skyrim script extender interface. This mod is required to run pretty much any other mod in Skyrim. There are already at least two mods in the Steam Workshop that are asking for cold hard cash made with SKE. One has to wonder, do the authors of SKE demand a portion of the profits or allow the mods working off their interface to stop selling for cash period? There are multiple reports coming in that people other than the mod authors are selling these mods in the Workshop right now. Valve has already said they want the community to police the Workshop, so I am skeptical on how this is going to work. We are looking at mod piracy now. Legal implications are apocalyptic to say the least. Valve has said that you can return a mod for a full refund in 24 hours but they have also said that people abusing this will have this revoked. You have to wonder, there are a ton of mods one installs and some might not work with what you already have installed. If a user is an avid tester and installs mods and then decides they don't work for what he has, he is screwed. I see major issues with this policy from Valve. Mod creators are only going to get 25% of the proceeds and the rest will go to both Valve and the Publisher. I think this is a cheap way to make some cash at the mod writers and users' expense. If you agree and would like to have a say in forcing Valve to reverse this moronic move, please sign the petition on change.com located here: Petition on Change.com. Already 17,000 signatures have been collected and it is going at a fast clip. Virtually no one is happy with this. Have your say. I am back. It has been a long time since I blogged and a lot has changed. I am a proud father now. Will keep this short and simple for now. Expect to hear more from me on random musings soon. 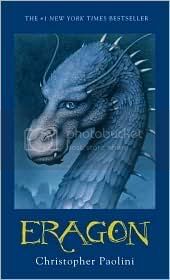 I am currently reading Eragon. I have to say, it is a very good book. What makes it all the more amazing is that Christopher Paolini wrote the book when he was still in High School. If you've seen the movie, and never read the book, you'd be amazed at how bad the movie was and how good the book is. The movie was a poor substitute for the book, as in most cases. Give it a whirl. I loved it. You might too. I officially joined my new employer on Monday. The job is still the same since I was a contractor at the company since August of 2007. Apparently they liked my work and wanted to hire me full time. I am happy. I get a pay raise, more benefits and other perks for being a full time employee now. Here is to hard work and more successes. Ameen. I bought IMAX tickets for Watchmen for Friday. Going to go watch it with some colleagues from work. One of the guy's in the group is a comic book nut so I am sure he is gonna have fun. For myself, I am sure it will be alright and not too corny. What is good is that it is on IMAX and not the normal cinema so that; just what I am looking forward to. I haven't gone to the cinema in around 6 months so looking forward to it. One of the other movies I want to get that I wasn't able to watch and would love to get it when it comes out on DVD is the Wrestler. If you ask me Sean Penn getting an oscar for milk was kinda f'ed up since I thought Mickey Rourke was better in The Wrestler. What does God have in store for me. I know not. Again and again life throws curveballs at me. Each time I think, it can't get any worse, this surely must be it, the epitome of my test; the test of my patience, perseverance and conviction, I am engulfed in another adversity, the target of another curveball. For I am wrong, there are always going to be more tests to endure and more exams to take. Not the tests you take in school, or the exams the teacher wants you to pass. But the one's God tells you to pass. The test of life. I will endure. I am a tenacious son of a gun. Throw them at me and I will pass all of them. The day I stop being tenacious and stubborn is the day I die. For that is life, to soldier along, to hope for a better tomorrow, to keep praying and working hard. O blog, I missed thee! Ah thou keep reminding me, my blog, that thine still exists and I must give thy time and grace thee with my pen. Ahem, so how are you blog? Have you missed me? How about the unexpected, once in a blue moon reader that hops along to this forgotten forest that is my blog? Have the brambles grown far too out of control in my absence? Well fear not, for I am back. I am actually trying to make myself sleep and since my PC has killed itself so uncermoniously last week (The Power Supply decided to go south for the winter), I am using my Nokia E61i Smartphone to write this post. That's all for today folks. O and btw, Happy New Year. I went and watched Hellboy 2: The Golden Army today. Even though I went at 9:30 at night to watch it having being dragged by my brother and our other apartment-mate, I have to say, it was definitely worth it. I would even rate it a little higher than original Hellboy. The movie had constant action, a gripping storyline and amazing characters. Even the characters not involved in the story, moving about in the background was fantastic. The cinematography is excellent with a lot of character to every scene. The CG is very well done. It has a little bit of everything, romance, action, suspense. It is definately worth seeing and one of the 2008's better movies along with Ironman, Wanted and others. P.S: The movie "Hancock" is to be avoided at all costs. It does not live to all the hype it created. Believe me, avoid it like the plague. Sometimes when your starting out on a new job, you say to yourself, "Coming on a Saturday to finish up work and meet deadlines isn't too bad". That is precisely what I am doing tomorrow, for the second week in a row. I plan on keeping this Sunday to myself unlike the last one. Had to run along on a Sunday too last week. This week's situation hasn't been helped much by the California wild fires. I had to evacuate on Monday. The fire came really close to my house but thankfully, the wind changed direction and went North, not South West, saving my precious belongings and abode unscathed. Well off to a early bed for me on a Friday for my day at work tomorrow. The looter is back. The person who took the people's money before, now took their lives too. She knew this was going to happen, she knew that while she waved with a smug and ugly smile, innocent people around her would die. She had credible evidence to know that she was going to be targetted, going so far as to write crappy letters to Pervaiz Musharraf, he telling her not to come. But no, she wanted to come. What does a looter care about the lives of it's people. Her father was drinking alcohol and sleeping in his pee when students were being killed on the streets. I guess bad blood runs in the family eh? And what about those of you who want to not send forces into Waziristan because of your "peaceful dialogue". Do the dead yesterday care about your peaceful solutions. I don't think. This is why we should send the Full force of Pakistan's combined forces into Waziristan. The Pakistan army needs the support of its people. I've said it time and time again> Those that do this come from Waziristan and thats where we need to take the battle to. I grieve for the victims of this tragedy but it is time we use our anger for something productive and remember all those people that died in this bloodbath. Let their deaths not be in vain. Life is good. And Ramadan is progressing well for me. I hope it is for you guys too. The weekend has been somewhat of a blessing for me since last week was quite hectic and the coming week is also going to be very busy at work. Updates might be slow but you never know. Stay tuned.